The Deadly Camp is more of a percentage of Anthony Wong's acting roles rather than its own film with a soul. He brings life to otherwise dead films. 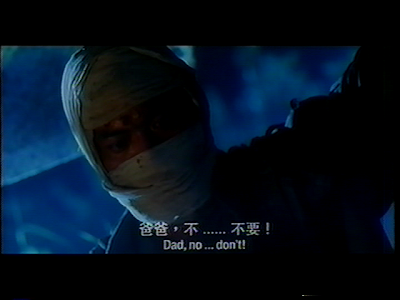 See also: The Mummy: Tomb of the Dragon Emperor. The Deadly Camp is a rehashing of The Texas Chainsaw Massacre mixed with hillbilly/inbred camp to create a film that would love to cover psycho-sexual territory with its implied father-son virility. Just because this film isn't great doesn't mean it lacks branches of favorable material. The Deadly Camp follows a group of picture-perfect couples taking a vacation on a lonely island. 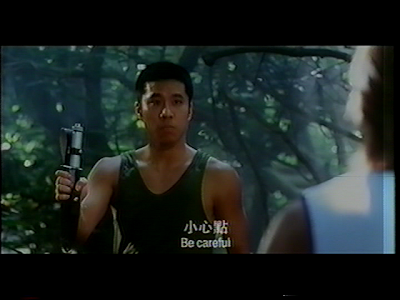 With about 9 people, personalities are a generally mixed bag sans the stereotypical "goofy" Asian displayed with enough screen time to span 4 characters. The females acting is rather abysmal seeing as they are just a tool to provide flesh to the Dependant relationship. That leaves us to Anthony Wong which, as you know, is an amazing character actor and plays the pervert pimp named Boar. This is another classic example of how Asia mimics much of American horror. And to think people actually believe Asia is the only source for original horror now-a-days? I scoff at the mere thought of that. The Deadly Camp is celluloid proof of this disputed claim. The film is so cluttered with nonsense and derivative character development that it almost offends me. The character is furthest from fitting his name "Soldier". I would have liked him to be a character like Spoon from Dog Soldiers, but he dies in a pathetic attempt at heroism. In what was destined to be CAT III, this effort barely passes as Category IIB. The film doesn't demonstrate aptness in any category. Annoying characters that are a collective just to create a miniature body count and a plot that doesn't really make sense are the ingredients to make this pabulum effort. The only reason I'd ever watch this film again is for the leper maniac exercising extreme misogyny via chainsaw. Definitely sounds like one to avoid. Not related to Asian horror at all, but are you into any of the horror coming out of France?